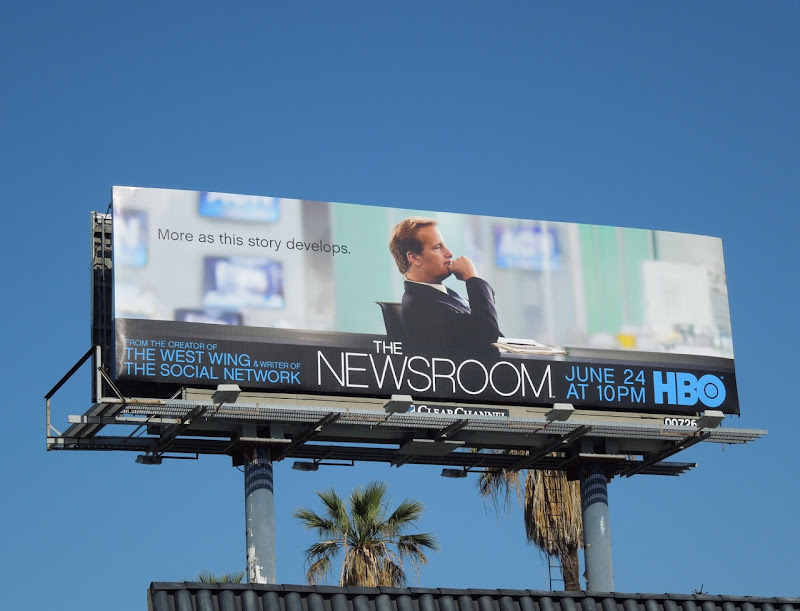 Daily Billboard loves the simplicity of this creative for The Newsroom, which immediately conveys the news anchor premise of the HBO's new drama. Jeff Daniels brings his acting credentials and a real gravitas to the newscaster role even in this single image, along with a whole host of famous names to bring you the behind-the-scenes at a nightly cable-news program. 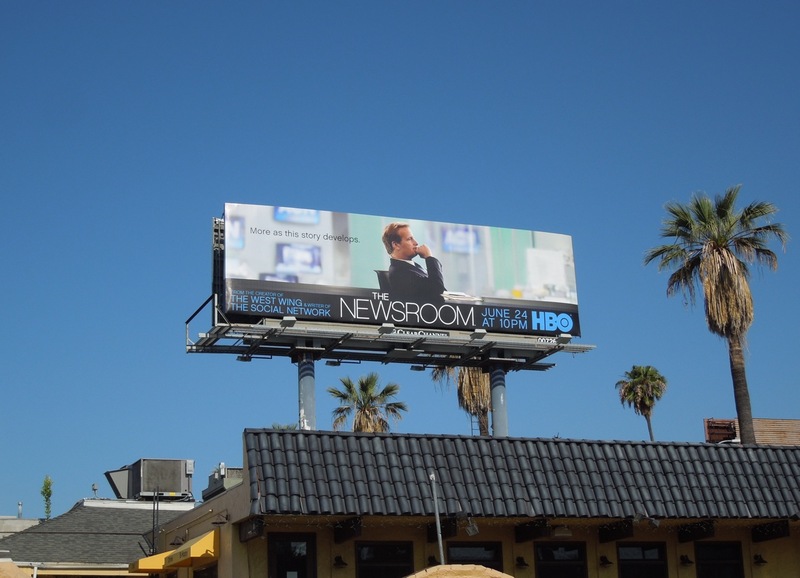 The ad campaign for the new series is all over the streets of L.A., plus it's pretty much taken over Sunset Boulevard with at least these four billboard sites. 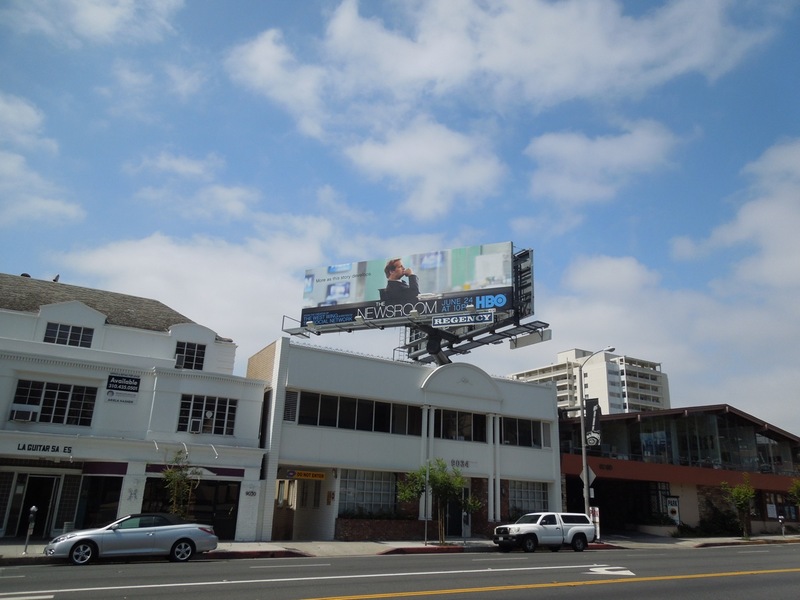 The standard landscape billboard was first spotted on May 28, whilst the giant-sized version was snapped towering over Sunset Strip on June 14, 2012. 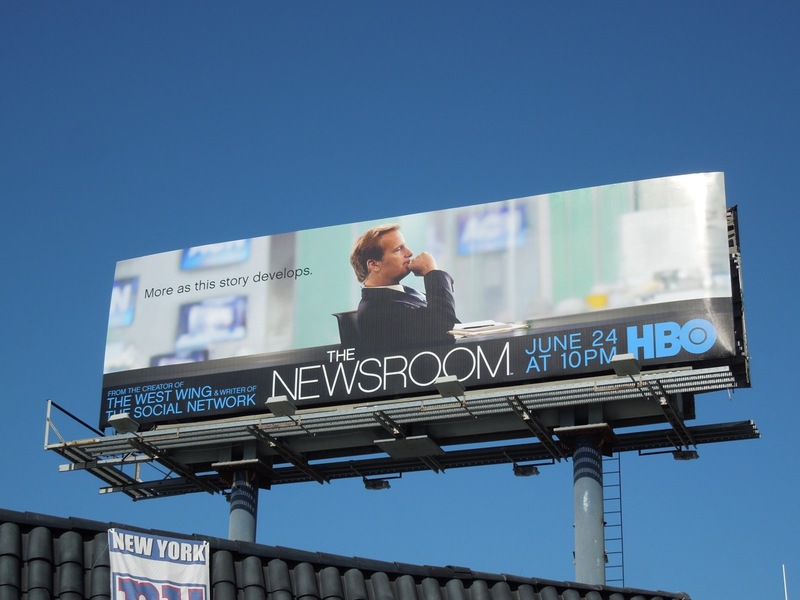 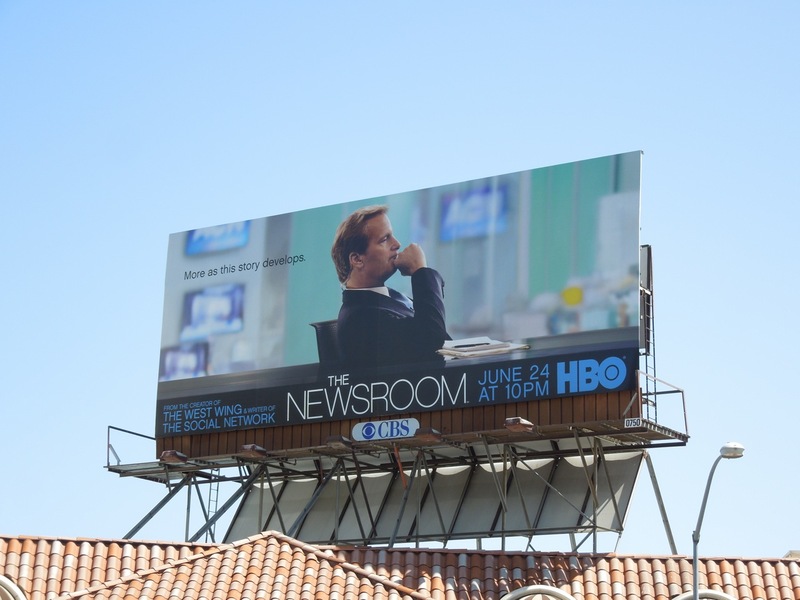 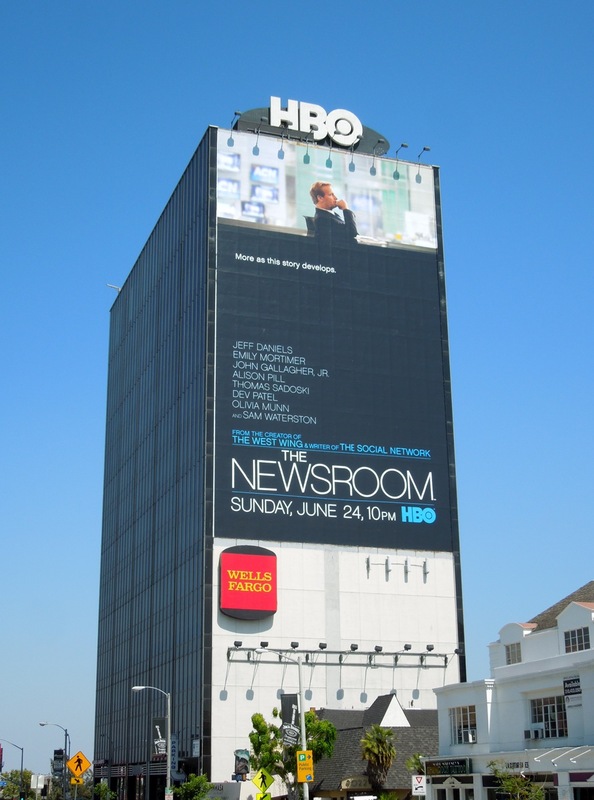 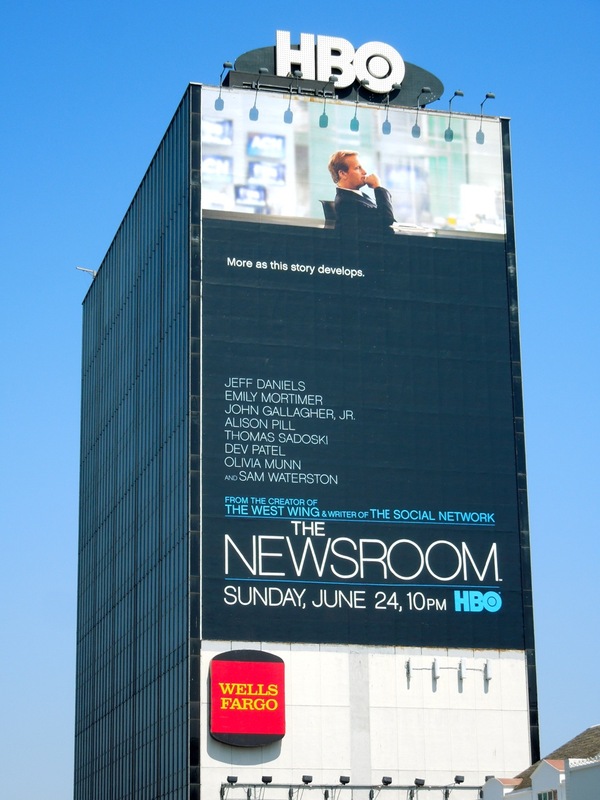 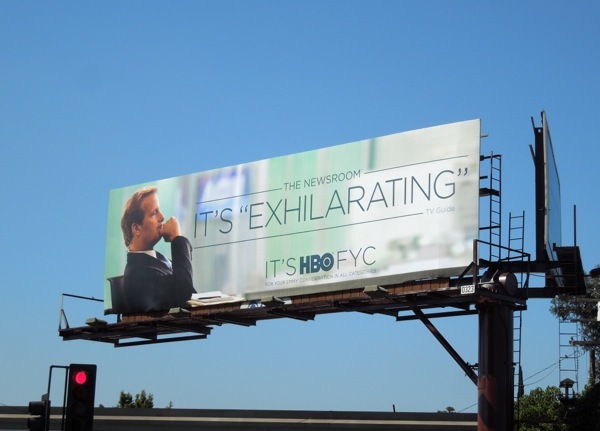 UPDATED: It's been a while since we've seen The Newsroom in the skies of L.A. (but fortunately the second season is on the way), so it's a treat to see this Emmy Consideration billboard for HBO's compelling and exhilarating drama series along Wilshire Boulevard on May 30, 2013.